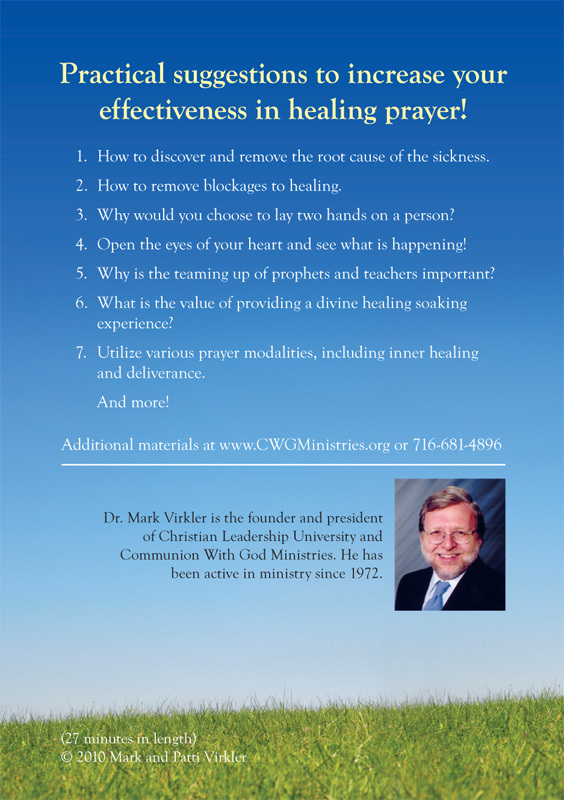 Approaches which make healing prayer more effective! The CD is excellent to review these principles over and over as you drive. The DVD is perfect to release anointed instruction to your group. The 27-minute length is perfect for a home group or a Sunday school class, as it allows you to both receive the training and then break into prayer teams of 3-5 and minister healing to those in need. Our goal is that 100% receive healing! Let's meet together regularly for healing prayer workshops and experience divine healing for ourselves and our loved ones! 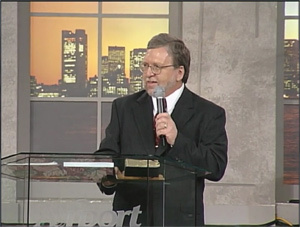 On Saturday, October 30, 2010, I was sitting in a seminar teaching by Dr. Mark Virkler, How to Hear the Voice of God. He explained visualization is a technique for establishing a closer relationship with Him. 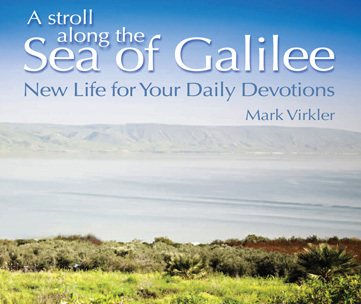 The technique was to picture myself walking along the Sea of Galilee with Jesus and to mentally fill in the details as we walked along until the scene became more real and I was very much a part of that scene. It did make Jesus more real and easier to stay in communication and prayer with Him. It became very much like having a direct conversation with Him. Overnight I awoke with pain in my feet. I had been dealing with a condition called Morton’s Neuroma for several years in both feet and had successful cryosurgeries to remove that pain. However, through the medical treatment it was discovered that I had stress fractures in many of the bones in both feet. Healing, I was told would be very slow, perhaps a year or two. I had spent 3 months in cast-like boots and two months on crutches. I was still moving painfully and slowly when 2 months ago I fell in the yard and sustained a severe knee injury, bruising the bone and traumatically injuring the pre-patellar bursa. The knee had swollen to almost triple normal size. I have been in physical therapy for weeks to regain the use of that knee. He motioned an angel over to me. We walked down a very bright white hall and turned into a room that had only two things in it: a large bright white recliner lounger and a glowing white robe. The angel told me to put on the robe. The robe covered me and all my clothing. It was shooting rays of light around, in and through the robe and through me. I sat down on the recliner lounger and leaned back. It was very soft to touch, very comforting – soft like velour, but airy like a cloud. At that moment Jesus walked into the room and put His right hand on top of my feet and His left hand under them. I could feel my feet begin to cramp up and then relax as the pain subsided. The pain in my knee also subsided. I was aware that I was in this bright white room, and yet I had a sense that I was lying on my bed in my room. However, my presence in the bright white room with Jesus seemed more real to me than the bed I was lying on. A short time later, I woke up, no longer in the vision, and lying in the dark on the bed in my room. A couple of hours later, there was a time of prayer for healing after the worship service and before the seminar teaching. Mindy, sitting next to me, asked if I wanted to go up for healing. I told her that I thought I had already been healed and recounted the vision during the night. During the worship, Mindy and I had been invited to sit in a special tabernacle the worship team had built. In it was a throne where we could “sit at the feet of Jesus.” Mindy and I kneeled there for almost ten minutes on a hardwood floor. The day before, I had not been able to kneel on carpeting. After kneeling that morning, I was able to walk and stand. The pain in my feet has not returned to the same level. There is a tingling and, at times, a mild discomfort, much like the nerves are regenerating. When there is discomfort, I again see myself with Jesus’ hands on my feet and the discomfort goes away. I am so grateful to God for this experience. I had been dealing with severe pain for a very long time. We see that Jesus sent His disciples out to minister two by two (Mark 6:7). The book of Acts also says that the apostles went out in teams of two, and suggests perhaps a prophet and a teacher (Acts 13:1-3). This would most likely be a right-brain prophet and a left-brain teacher working together and honoring the gifts within each other. Let me share an example of this kind of ministry that happened to me in California where I was teaching at a Wagner Leadership Institute - Korean American. A pastor in the group shared that he had a pain in his intestines for the last four months and, though he had laid hands on himself, he had not improved. What could I suggest? I invited him to the front for prayer, and asked for a right-brain seer to volunteer to come forward also to look for vision as we prayed. I asked him what happened in his life four months earlier, when the pain had begun. He said that there was nothing that he could remember. So we began to pray. The prophet saw in a vision that four months earlier the Lord had offered him a basket of fruit and he had not been able to receive it. The pastor then remembered that it was at that time that he had earnestly sought God for the gift of tongues, and not received it. He was very disappointed and pained in his spirit that God had not answered his prayer. Well, the pain in his spirit had produced a pain in his body. He repented of his distrust toward God and asked forgiveness for this sin. We commanded the pain to leave his body, and it did. I then offered some left-brain teaching on how to receive the gift of tongues. We went to Acts 2:4 and helped him see that “they” spoke as the Spirit gave the utterance, and if he wanted to speak in tongues, he had to speak and let the Spirit guide the formation of the syllables (i.e., tune to flow and whatever syllables flowed out, that would be from the River of God within – John 7:37-39). We prayed together with the pastor, instructing him to worship first in his native language, and then to worship using flow, not directing the syllables himself. He did this and began speaking in tongues! So the healing was complete. No more pain in his spirit or his body. And he received the basket of fruit which the Lord had offered that he did not know how to receive four months earlier! A prophet and a teacher ministered together, honoring both the right-brain prophet and the left-brain teacher and the results were spectacular. Why don’t you team up with someone with a different gifting than yours and minister God’s grace together? The results will be amazing! Glory be to God! I (Dennis) once asked the Lord, “How did You heal the sick and move in miracles?” The answer came in John 5:19. Jesus said “The Son can do nothing of Himself, but what He sees the Father do; for whatever He does, the Son also does in like manner.” This is how Jesus healed the sick and raised the dead and moved in miracles: He saw what His Father was doing in heaven and copied it on earth. He caught the divine initiatives of heaven. Saltillo, Mexico– A lady came forward for prayer. She was wearing thick glasses and her eyes had a white substance covering them. Instead of praying as usual with an automatic learned prayer, I (Dennis) stepped back, closed my eyes, and asked Jesus what He was doing. I saw a picture of both thumbs wiping the eyes. “I can do that!” I said. So I stepped forward, asked the lady to remove her glasses, and with my thumbs, made the same wiping motion. “Open your eyes!” I commanded. She opened her eyes, and screamed out, waving her glasses in the air, “I don’t need these anymore! I don’t need these anymore!” Her eyes were crystal clear. Cusco, Peru– I (Dennis) was asked to pray for a woman who had gallstones. She was also in the late stages of pregnancy and the doctors told her they would not operate until the baby was born. She was in tremendous pain. I got quiet and asked Jesus what He was doing. Immediately I saw Jesus stretch out His hand to offer her a cup with 1/4 cup of hot water in it. I asked the husband to bring a cup of hot water and when he had done this, I poured it out until it was only 1/4 full. I then told her to drink this to release the life of heaven in her body. When she drank the water, a wave of heat went over her and she was instantly delivered of all pain. Several ministers from the USA were there in the room and can confirm these facts. Blackpool, England– I had an impression that there was someone in the meeting with a compressed disc in the spinal column and that they were in constant pain and losing strength in their legs. One of the pastors present raised his hand indicating that this was his condition. I had him come forward and I saw in a vision where on his back the condition existed. He confirmed that it was true. Then the Lord spoke in my thoughts to lay my hand on the place on his back and to say nothing. I did this and after more than a minute of silence I felt the vertebrae move beneath my hand. He felt it as well and immediately all the pain left and the strength returned. He began jumping and then touching his toes and told us of his healing. This man wrote me one year later saying he had not had one pain there since I had received that initiative. I (Lynnie) did a study and found that Jesus healed blind people five different ways! Once, He said, “Your faith has made you whole.” (Mk. 10:52) Another time He cast out a demon (Matt. 12:22), and another time He made mud and put it on the blind man’s eyes, and then told him to wash (Jn. 9:6). He was catching divine initiatives from His Father in heaven, bringing miracles to earth. And we should follow His example. Every week we have people line up to tell their “spoils of war” – how God used them in miracles on the streets of Las Vegas. If God can do it here, He can do it anywhere! God is raising an army who can catch the initiatives of heaven, bringing the miraculous flow of power from heaven to earth. See www.DunamisARC.org for teaching CDs, DVDs, and books. 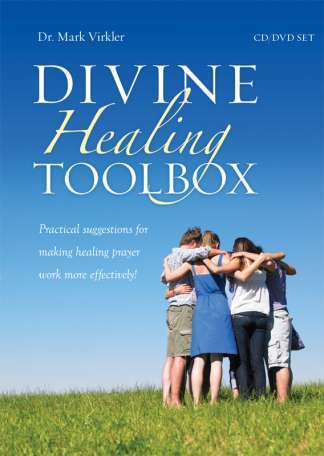 I have sent "The Healing Toolbox" to my friend in Ohio who has colon cancer. We are believing for a Divine miracle. Her in-laws all viewed the DVD together. It has put them on the "same page" in regards to praying for her. She is most thankful for the materials too! It increased the unity in her family! Take Charge of Your Health provides a greater understanding of health. 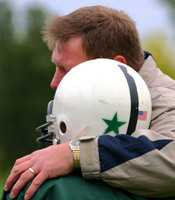 Prayers that Heal the Heart training package provides a greater understanding of how to heal the wounds of one's heart. These heart wounds often contribute greatly to physical sickness.